Oil on Canvas Paper, 11.5" x 11.5"
A bit larger version of the one I did the other day, and a bit of a rest from the watercolors, which are more demanding than the oils. 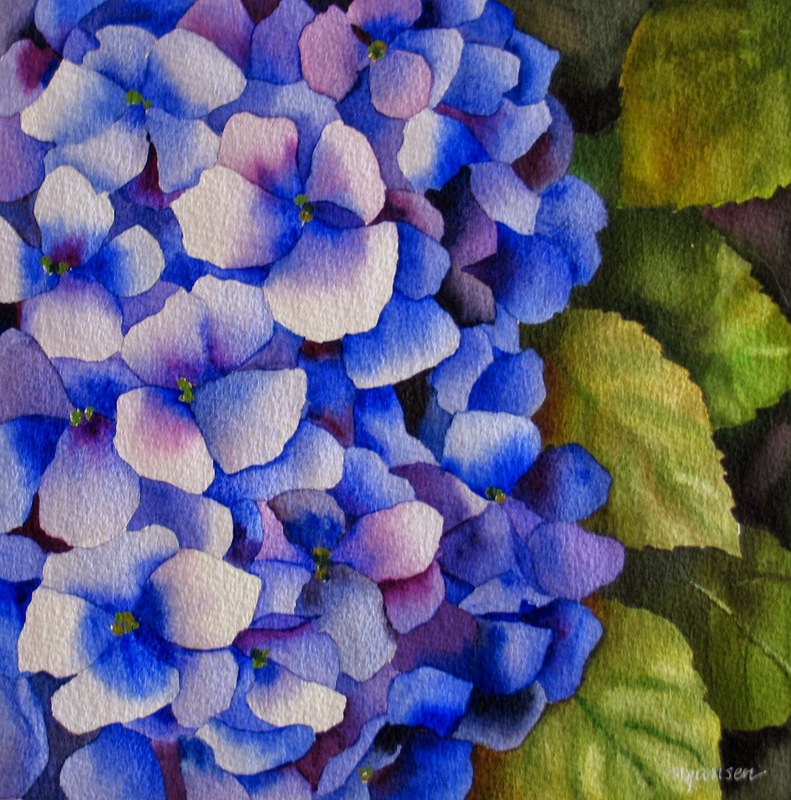 Watercolor on Arches Paper, Image size: 10" x 10"
I wanted to try one more hydrangea, but in detailed fashion, petal by petal. And yes, it took awhile, with the waiting for parts to dry. 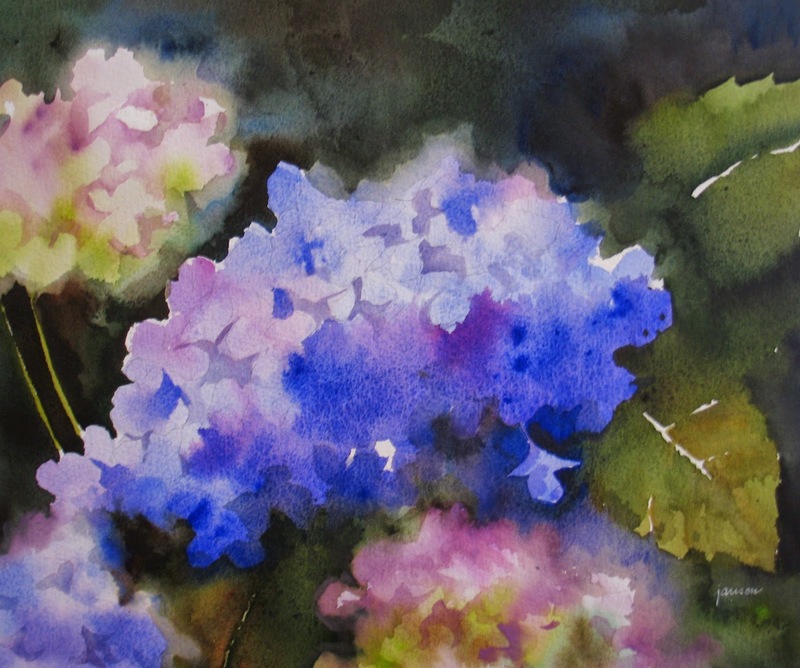 Watercolor on Arches Pper, 12" x 16"
I'm fairly happy with this one, the colors, and it doesn't look overworked. I thought it might be interesting to show a couple of possible crops for this one. 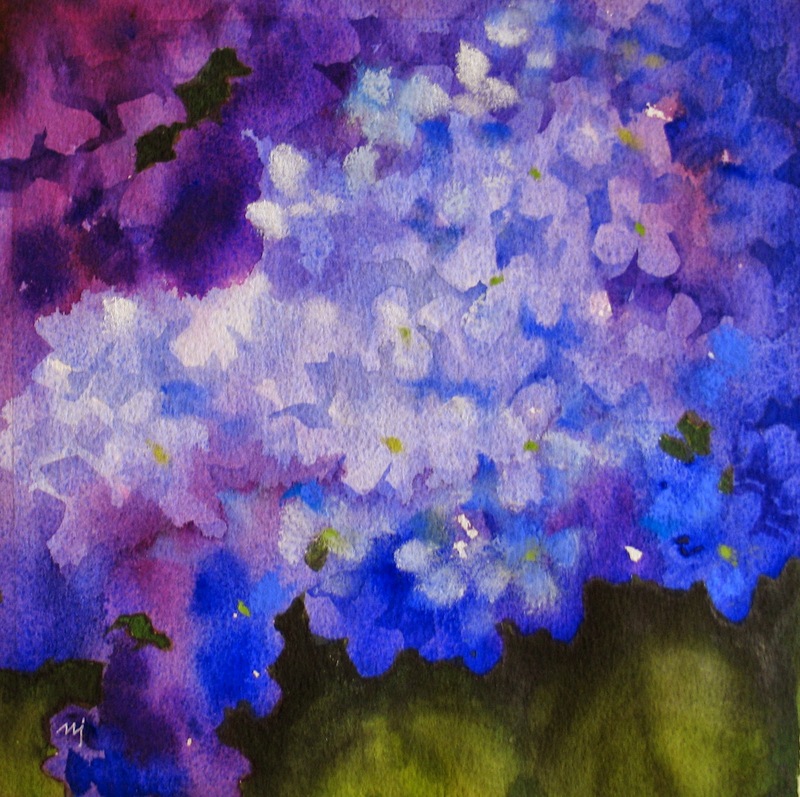 Watercolor on Arches Paper, 9.5" x 9.5"
This one was entirely experimental, trying to capture the feeling of hydrangeas, with loose watercolors. It didn't turn out as nicely as I had hoped, but if someone likes it... 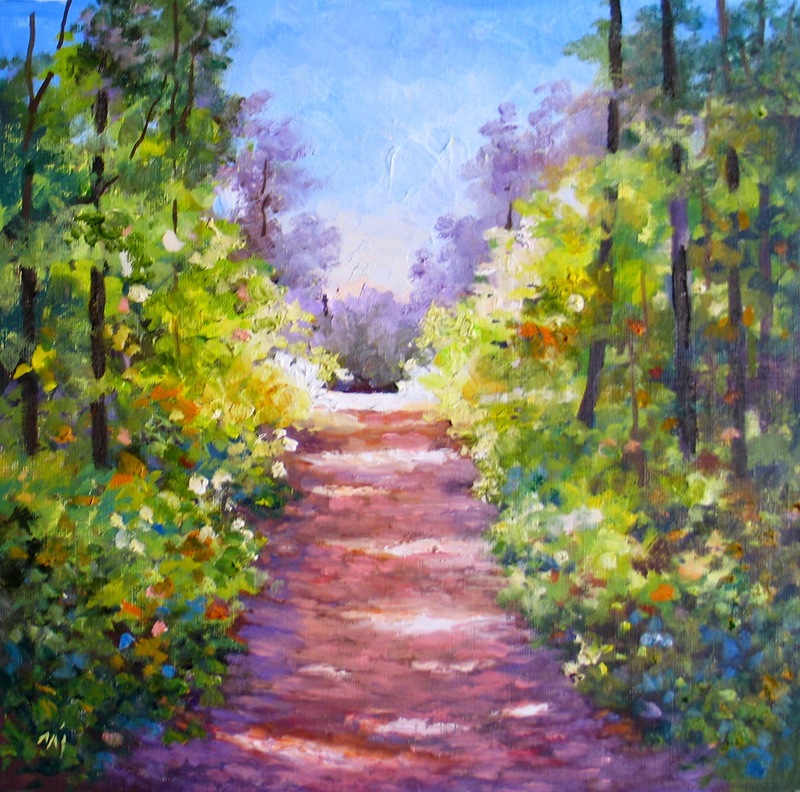 There is a touch of pastel here and there. 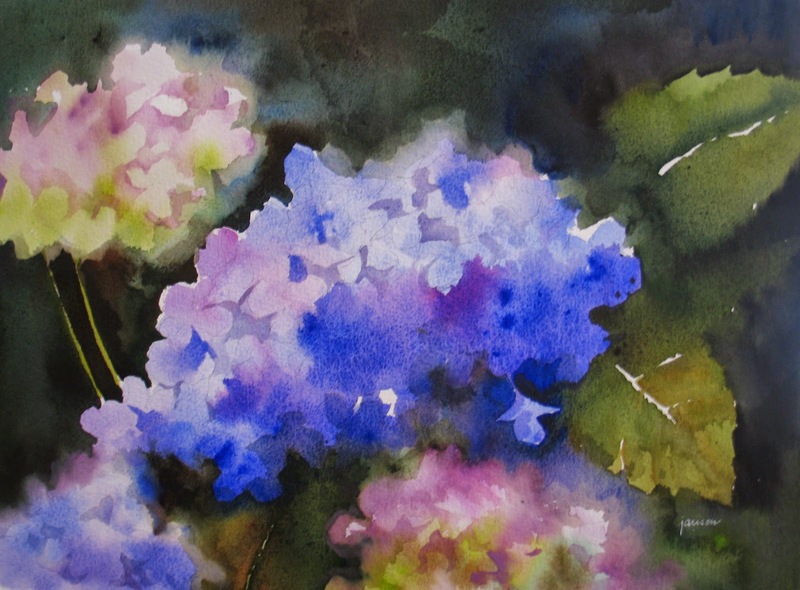 The watercolor has possibilities,so I'll try this again. 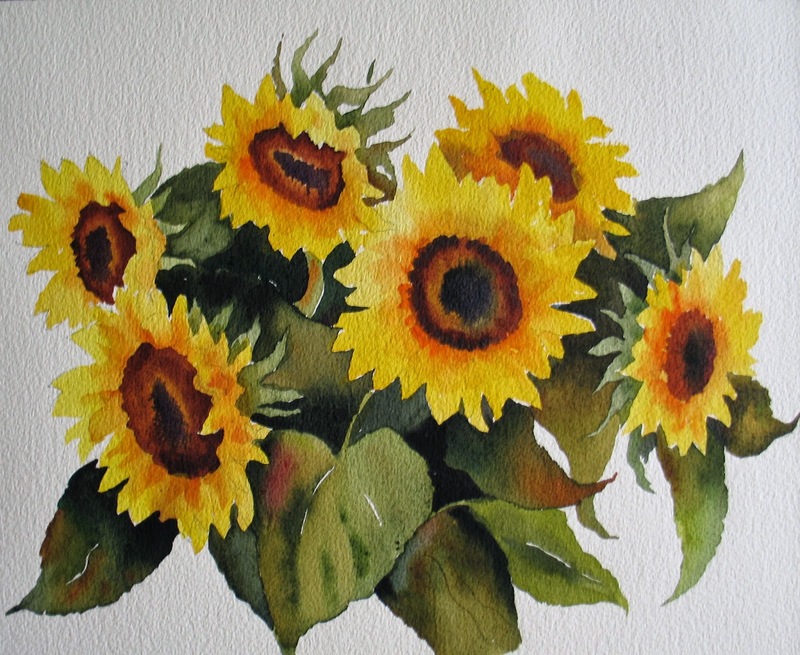 Watercolor on Arches Paper, Image Size: 11" x 15"
I was thinking about purple flowers today, but since I need to get some purple watercolor, it was back to more Sunflowers.Tomorrow maybe something else. 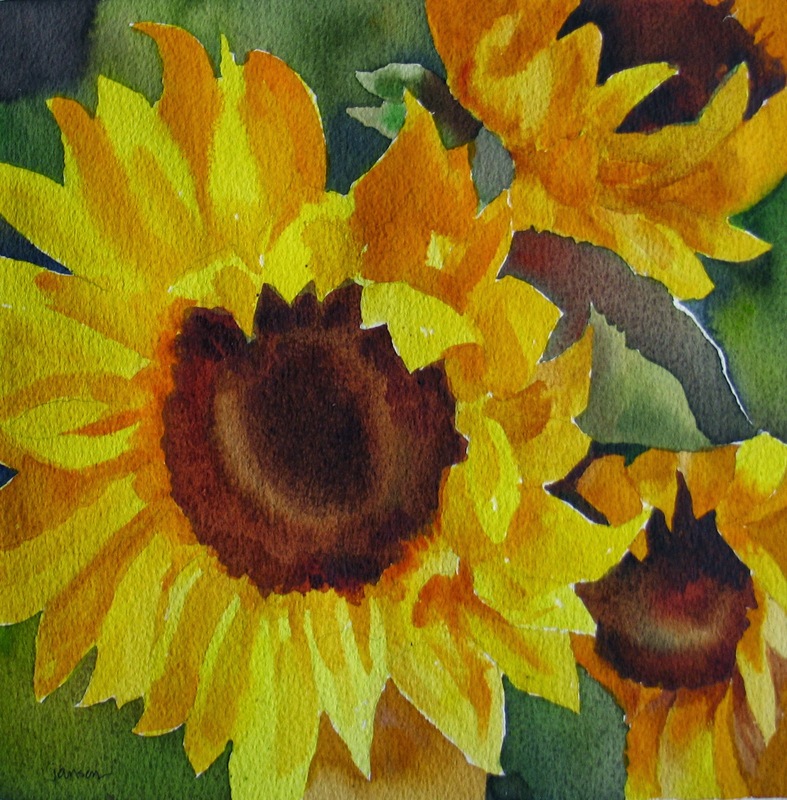 Watercolor on Arches Paper, Image Size 10"x 10"
While we are on the subject of sunflowers, thought I'd try another one. 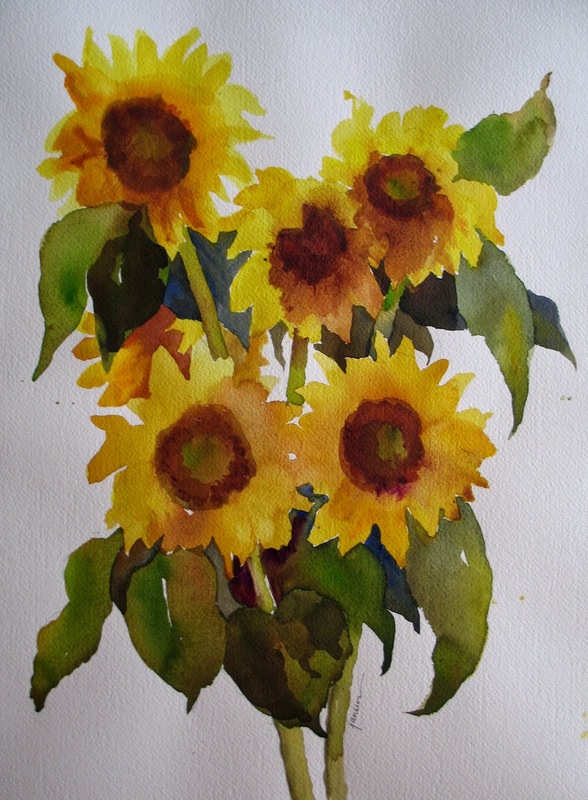 The challenge this week in DPW (Daily Paintworks) is sunflowers, so I used the provided reference very loosely, and swished a watercolor. 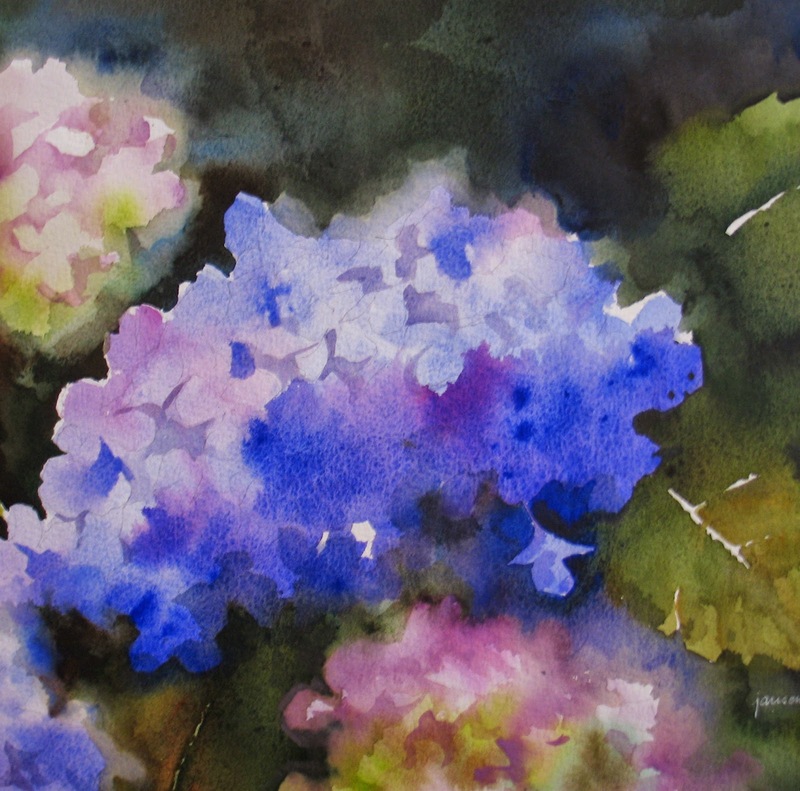 My watercolor brushes are still buried in a box somewhere, but I had a few soft and clean oil brushes, so I used those.